1. 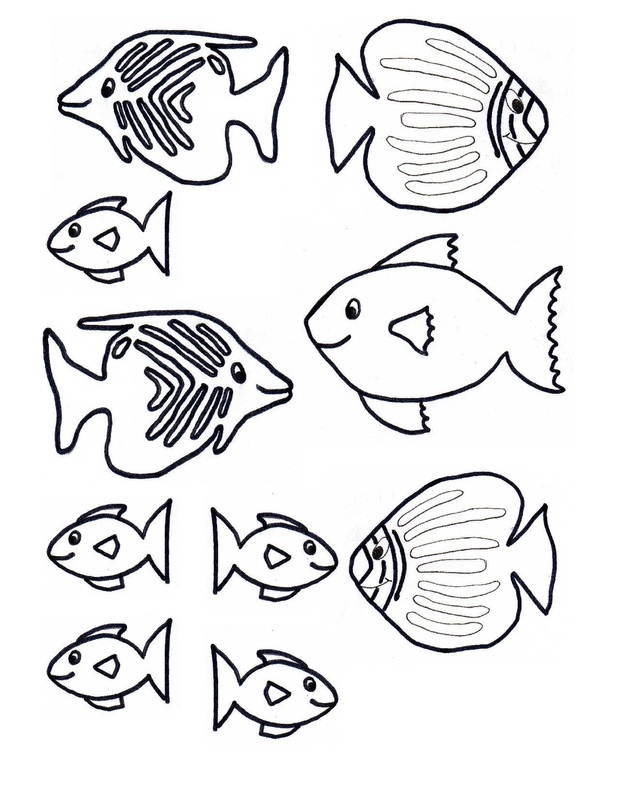 Print off the fish template by right-clicking on the image. Save the template to your computer, and print. open and print the pdf doc below. 2. Colour in the fish. 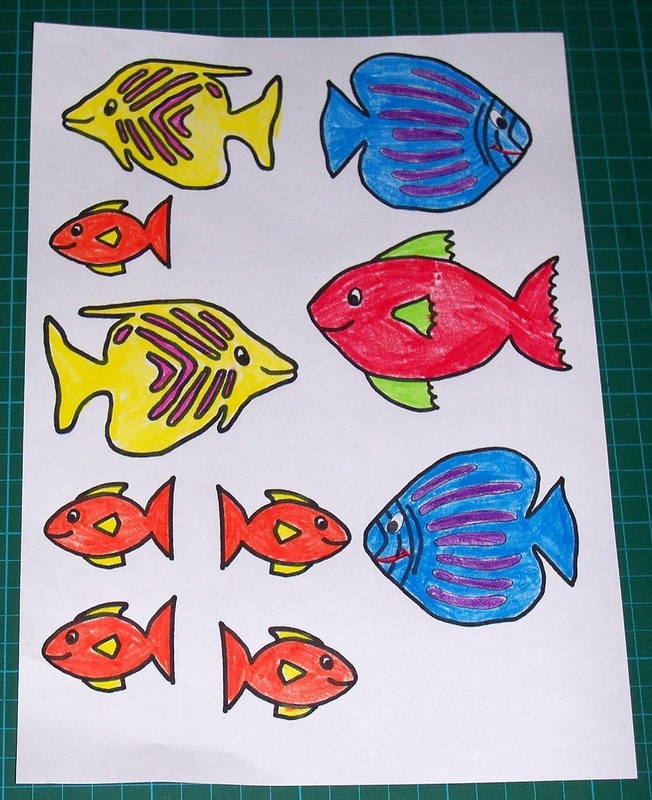 Hint - colourful fish look great, but don't colour them the same blue as your paper or you will not see them. 3. 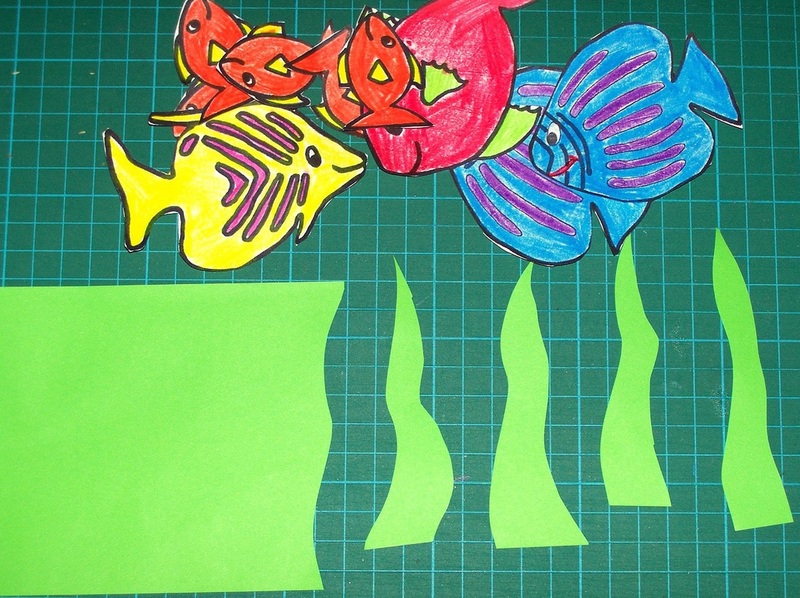 Cut out the fish, and also cut out some seaweed shapes from the piece of green paper. 4. 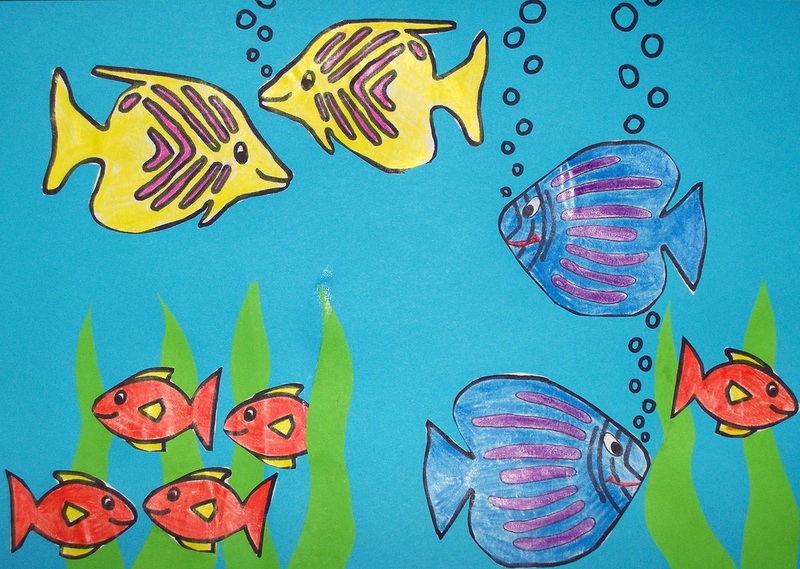 Arrange the fish and seaweed on your blue paper (the water). You can have fish coming out from behind the seaweed if you would like. When you are happy with your picture, glue down the fish and seaweed. Then draw bubbles rising from the mouth of some of the fish with the black texta. Note that bubbles get larger as they rise. 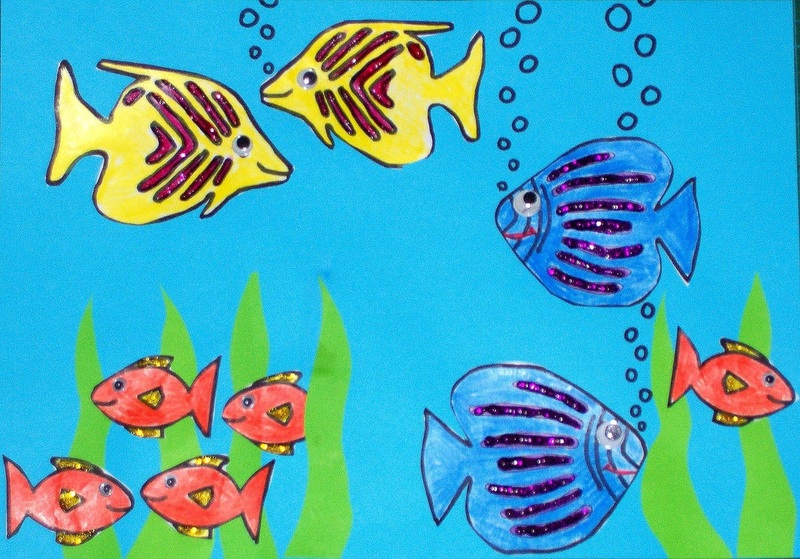 I used google eyes and glitter glue, but use your imagination and come up with some interesting decorations for your fish.